We have always been avid rock gatherers, and are never able to return from any trip without bringing home a rock or two. 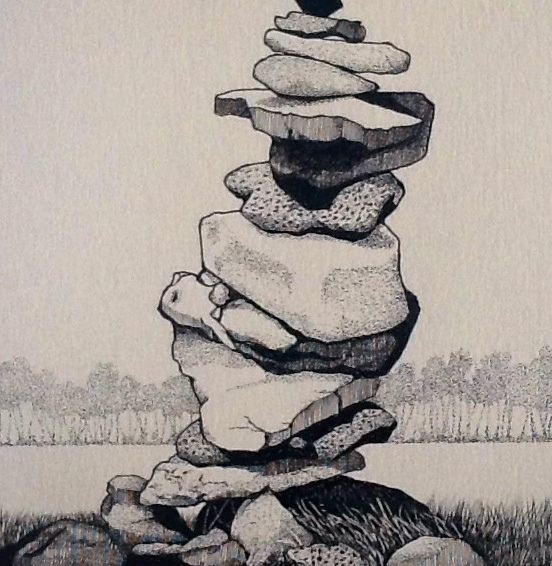 In addition to using them in the gardens, we have inuksuks, or cairns, constructed throughout our property. This one, alongside the river, was a perfect subject for a warm autumn afternoon.